Scott Marshall began his career with Metcash in the Australian Liquor Marketers (ALM) business 25 years ago and became CEO of ALM in December 2013. In March this year he was appointed Metcash CEO, Supermarkets & Convenience. His areas of experience cover warehousing operations and management, sales, retail operations, state general management and marketing management. 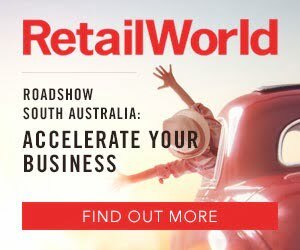 Retail World spoke with Mr Marshall at the recent Metcash Supermarkets & Convenience Expo and IGA National Conference 2018 to discuss his plans for the business. BEFORE YOUR CURRENT ROLE, YOU SPENT SEVERAL YEARS HEADING UP METCASH’S LIQUOR DIVISION. WHAT SIMILARITIES AND DIFFERENCES ARE THERE BETWEEN THE TWO CHANNELS? The roles are actually very similar. At the end of the day, we’re just trying to help independent retailers deliver a good offer for their shoppers. For me, different parts of the business run differently, but there are learnings that we can share. I think what I can bring is some fresh new ideas into the Supermarkets & Convenience team to help make positive changes. I also bring simplicity. I think in some areas we have overcomplicated things. I try to make doing business as simple as possible and, based on past feedback, we haven’t always made things as simple as they could be. I’m looking forward to breaking down some of the processes and really focusing on the things we need to have in place to help independent retailers to be successful. WHAT ARE THE BIGGEST OPPORTUNITIES YOU SEE FOR THE INDEPENDENT RETAIL MARKET? One of the themes of this conference is understanding shoppers and where the trends are going. I believe there’s huge opportunity for independents, because the trend for consumers is towards small-format shopping – smaller baskets, more often. That’s our whole network and model, and I don’t think we’ve fully aligned our offer to that trend yet. There’s a big opportunity for us to really focus on the convenience shopper at the right price point – not by trying to copy some of the competition out there, but by creating our own space. We’ve had great feedback from retailers and suppliers and everyone’s very excited about that opportunity. HOW IS METCASH PERFORMING IN THE MARKET? A FEW NEGATIVE STORIES HAVE APPEARED IN THE MAINSTREAM PRESS OF LATE. HOW DO YOU RESPOND TO THAT? It’s interesting. I think, being a smaller part of the market, we don’t go out there and talk ourselves up. Metcash had a write-down of our goodwill, which got some headlines when we announced that to the market. And more recently, the Food and Grocery Code of Conduct has attracted some media attention. To address those two things, the writedown of goodwill had no cash impact; it doesn’t affect the operations of our business. We’ve got plans to grow, which will give our retailers confidence across each of our three pillars, which include liquor and hardware in addition to food. Overall, Metcash performed well in highly competitive and challenging conditions. On the Code of Conduct, historically I’ve always partnered with suppliers to get the best outcomes. Being the smallest player in our model, that’s all I can do. We don’t have big levers to pull like some of the larger competitors out there. We believe we already comply with the parts of the code that relate to us. We’re committed to partnering with suppliers and we’ve said we’ll work through the code to see what impacts it will have on the whole model. But as it stands, we’re not an integrated network, so we can’t sign up to it in full like some of the larger retailers. I’ve had nothing but positive feedback from suppliers. Of course, there’s the odd occasion where we could have done things better, but again, being the smallest player in the market, we work closely with our partners. CAN YOU GIVE AN UPDATE ON SOME OF METCASH’S PROGRAMS AND HOW THEY ARE WORKING? The Diamond Store Accelerator (DSA) program is a great example of what can be achieved when we work together. 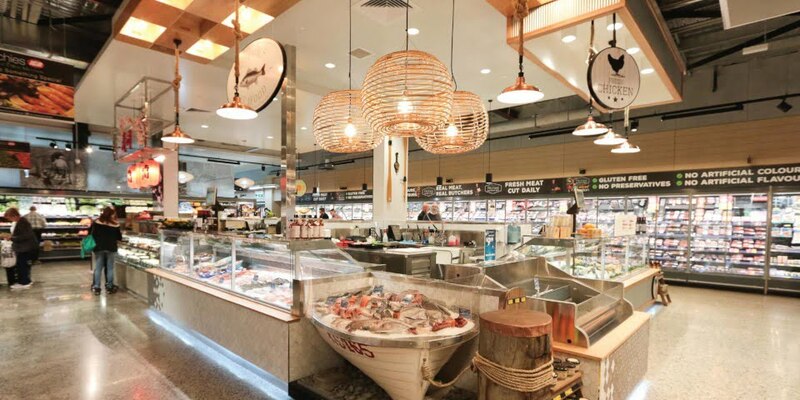 Under the DSA, store owners and Metcash invest in refurbishments to improve the shopping experience for customers, including increasing the amount of floor space provided for fresh produce and ready meals, and improving the overall layout of the store. We’ve worked to simplify the process and create more options for our retailers to access investment in their stores. This year 75 stores have completed the DSA program, bringing the total stores through the program to 325. Another thing we’ve done really well with our retailers has been developing a winning range of products for their stores. That’s been a joint process to offer a core range of the products that shoppers want most across our whole network. We’re out there working with retailers right now, closing gaps, and again, that’s created a lot more consistency across our network. The shopper-led range not only benefits customers in-store, it also positions the retailers and ourselves for improved efficiencies and sales growth. It’s a great example of working with our retailers to get the best outcomes. WHAT ABOUT STORE NUMBERS? HAVE SOME IGA STORES FALLEN OFF THE BANNER BECAUSE THEY’RE NOT MEETING EXPECTATIONS? It’s important for us to keep raising standards. Again, I think, that’s another thing where we’ve probably had ‘one size fits all’ a little bit too much. We’re working through what our network looks like now, to really ensure that we’ve got the right stores with the right offer, including range and price. We’ve had 28 new stores open this year, which has been a great outcome. We also have more retailers looking to invest in this coming year, which for me is very exciting. HOW IS IGA FARING IN THE COMPETITION AGAINST COLES, WOOLWORTHS AND ALDI? Store by store, we have retailers competing very well. It’s those retailers that have invested in their store(s) and have got the right offer for their local communities who are seeing the best results. For me, independent retailers have to differentiate. We can’t go head-to-head on everything. I think the market is overpromoting and not necessarily creating long-term value for shoppers. I think there’s a real place for us to have a very consistent range and price to give shoppers good value every day. WHAT ABOUT THE PENDING ENTRY OF KAUFLAND, LIDL AND AMAZON, WHICH IS ALREADY HERE BUT LIKELY TO STEP UP ITS GAME? IS THAT SOMETHING IGA RETAILERS SHOULD BE CONCERNED ABOUT? Online is a talking point for everyone. There are not many places in the world where online grocery has really taken off, particularly in fresh. For a lot of our competitors who deal in online, their focus is really B2B sales. So yes, there are pockets of online that work, but it’s not a very profitable sector for any food retailer. I think the point to take out is that there’s always competition, whether it’s from a big-box retail store, or online, or other areas. We need to really focus on getting our offer right, and I think that’s the short-term opportunity for us. Again, the shopper trend is towards smaller shops, more often, and that’s our model. Where we’ve got to differentiate our range to compete with the bigger boxes by location, we will, and we’ve got some plans to do that more aggressively. But we’ve really got to lift our game in that core offer. I NOTICED MANY SMALLER AND UP-ANDCOMING SUPPLIERS AT THE EXPO THIS YEAR. IS THAT PART OF METCASH’S STRATEGY TO SUPPORT NEW BRANDS? That’s a really good point. We work with so many innovative new suppliers who are supporting our network. So it’s not just the core range; our model is very open to launching new products and innovating. If you look at the breadth of products that shoppers are trying now, I think we’re really well placed to get to some of these emerging trends faster than some of our competition, and that’s definitely a space that we’ll go after. THERE HAVE BEEN SOME NOTABLE CHALLENGES TO THE ESTABLISHED INDEPENDENTS’ SUPPLY CHAIN IN RECENT TIMES: THE LAUNCH OF THE IREXCHANGE PLATFORM AND DRAKES’ WAREHOUSE PLANS. WHAT DO SUCH MOVES MEAN FOR METCASH? As I said before, there’s always competition. In the liquor space, I’ve come from a role where, as a wholesaler, there’s a lot of competition and a lot of other banner groups out there. We’ll be very focused on our offer and what we’ll need to be, and I think that will hold us in good stead for the future. WILL METCASH BE EXPANDING ANY OF ITS SERVICES OR OFFERS TO REMAIN COMPETITIVE BEYOND WHOLESALING? 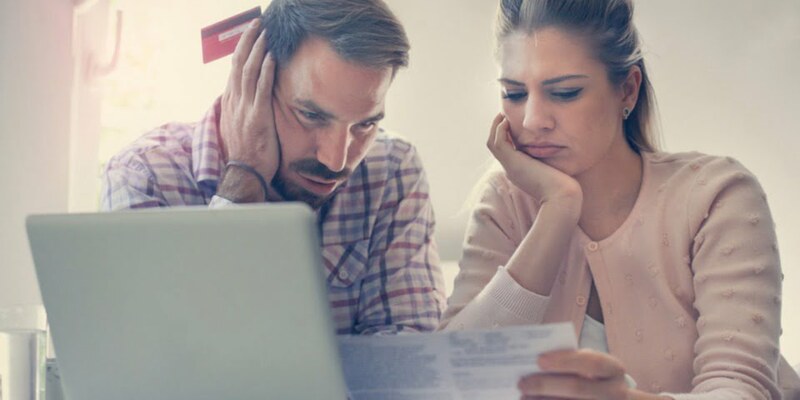 Metcash is always looking at ways we can improve our offering, so there are a few things to call out here. We’ve got the new IGA Brand Store Toolkit, which is a comprehensive set of brand guidelines showcasing everything needed to bring a store to life and communicate more effectively with shoppers in a way that truly supports our heart-and soul purpose, so we can get consistency right across the network. We’ve also released version three of our CatchPro program, our catchment-profiling tool which helps stores map their local market and understand who their shopper is. It’s a great tool and this version includes loads of new data, including the latest census data. It also identifies how people in their area like to shop, how stores can attract new customers and how they can differentiate in that space. 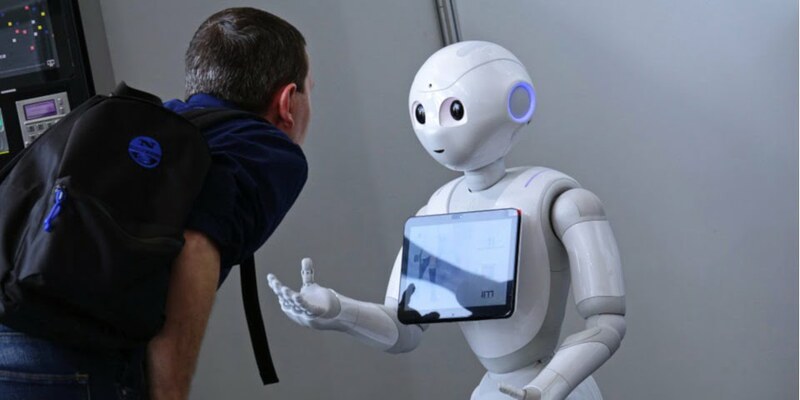 So we’ve got some great opportunities technology-wise. We’ll keep expanding our toolkit for retailers. But we also need to keep doing a great job at our core business. At the end of the day we’re a wholesaler that champions independent retailers. WHAT ELSE IS IN STORE FOR METCASH IN 2018/19? There’s no doubt that our model needs to evolve. We have areas that we know we need to improve – and that’s something I’ll bring into the business, by providing a slightly different lens on how we partner and trade going forward. I think we’ve got a lot to do around fixing the basics, resetting, and supporting our retailers with those new initiatives, including the DSA program, a winning range and an increased focus on buy as-you-need food. WHAT ABOUT YOU? DO YOU HAVE ANY GOALS FOR YOUR FIRST 12 MONTHS AT THE HELM? My goal is to ensure I have great relationships with all our retailers. We’ve had feedback that this hasn’t always been where it should be, so it’s my goal to ensure that we’re working with and listening to our retailers, to build a stronger network. That is a personal goal as well as a professional one. I’ve been serving independents for over 25 years and I’ll keep working really hard to make them successful. I’m excited. We have a lot of opportunity. What came up at the national conference is that we have to face the truth of where we are and where we need to get to. I think that’s been really refreshing for some of the retailers to hear. We’ll listen and we’ll make changes where they’re needed. WHERE DO YOU SEE THE GROCERY INDUSTRY OVER THE NEXT FEW YEARS? It’s interesting times. If you do look at those trends that you called out around bigger-box formats and online, I think it’s going to be interesting to see how changing shopper demands play out in that space. I don’t think shoppers are necessarily just after cheaper prices. I think they want good value across the board. There’s a trend towards health and wellbeing and I think if we can play a role in that space it will change what the future looks like for independent supermarkets.